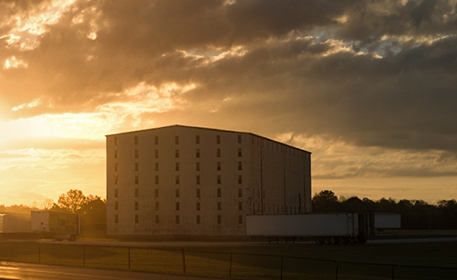 Heaven Hill has been perfecting the craft of distilling, aging and selecting award-winning whiskeys for decades. See how it's done. 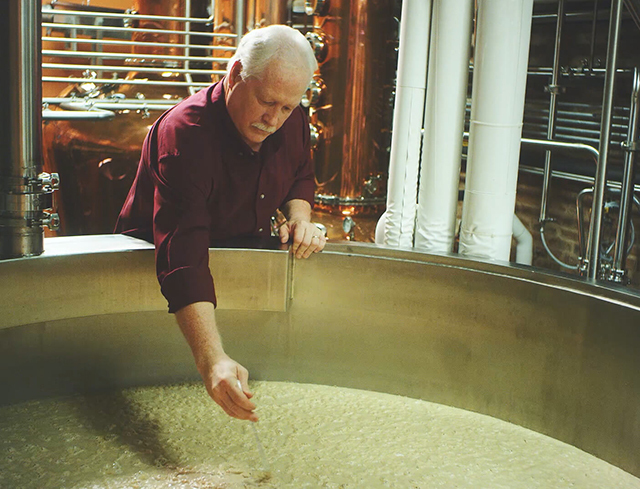 From grain to glass, discover what it takes to make American whiskey. 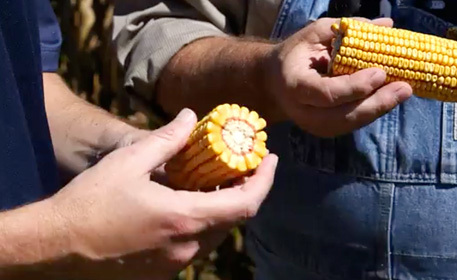 We work with the same local farms we’ve had relationships with for decades to select corn, malted barley, rye and wheat, which are then milled and combined according to our recipe, also known as a "mashbill". These ingredients eventually become the whiskey you know and enjoy. The milled grains are cooked in small, 35 barrel batches with Kentucky limestone water, in a specified order and at exact temperatures, to create a sweet, porridge-like “mash”. 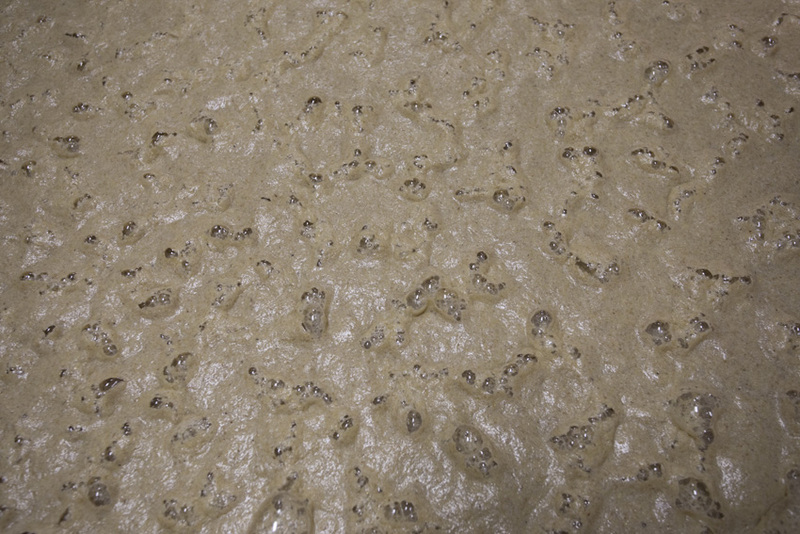 A portion of the prior day's distillate is then added to both the mash cooker and the fermenter. 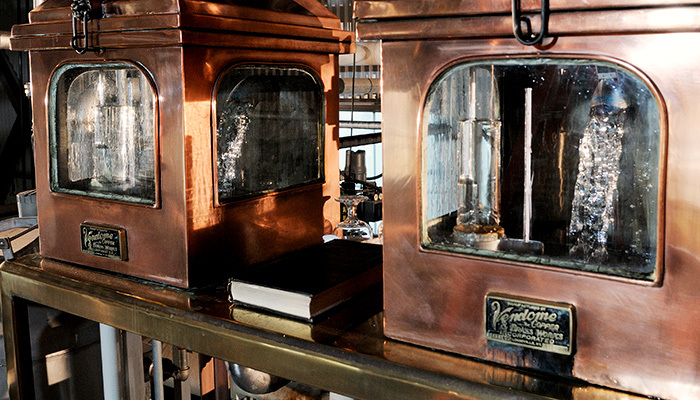 This helps maintain continuity of flavor that’s unique to each of our whiskeys. 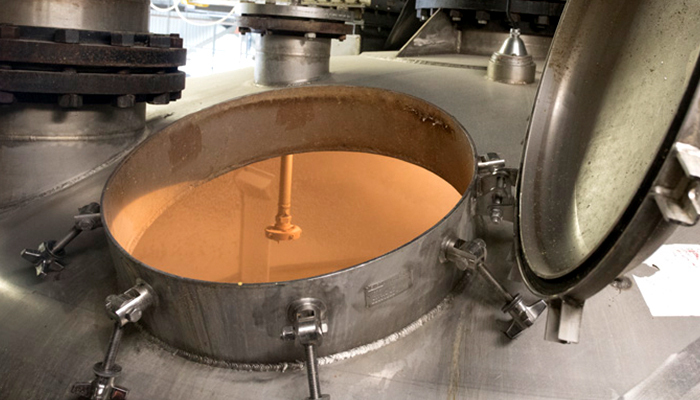 Our proprietary yeast strain, a family recipe that’s been passed down for seven generations and used since our founding in 1935, is added to the cooked mash, where the sugars naturally convert into alcohol. 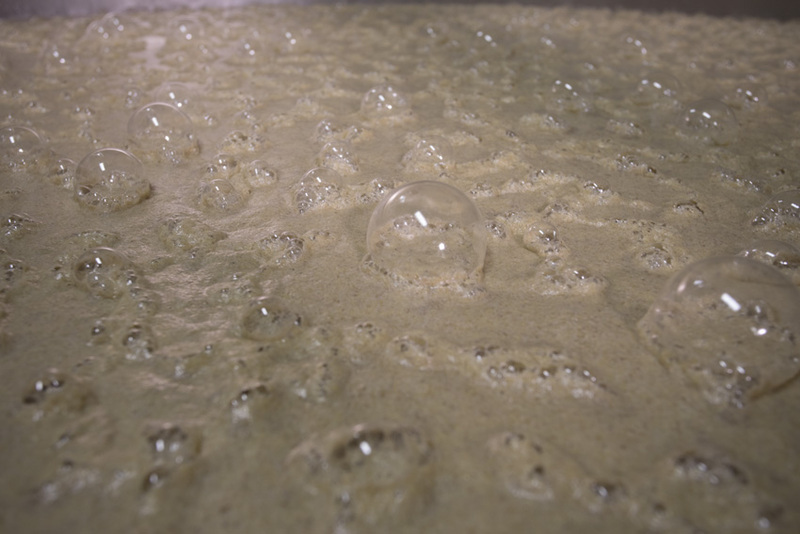 Over several days, the fermenting mash bubbles violently, creating a thick liquid called, "Distiller's Beer." In our 70-foot-tall column stills, the Distiller's Beer drips slowly down a series of perforated copper plates while steam blasts up from the bottom. 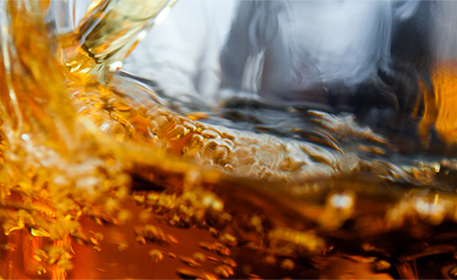 The alcohol vapors rise to the tops, where they're captured and then condensed. At 140 Proof the alcohol vapors rise up into the head of the still where they're drawn off into an arm and then to a coil. The coil is submerged in cool water, which liquefies the alcohol again. The result is the purified, raw whiskey, also known as "white dog" or "new make"
Next up is the waiting game. 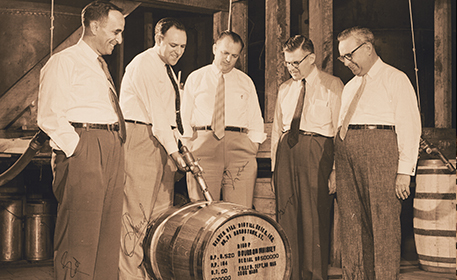 The whiskey is transferred to a barrel and sealed with a "bung." 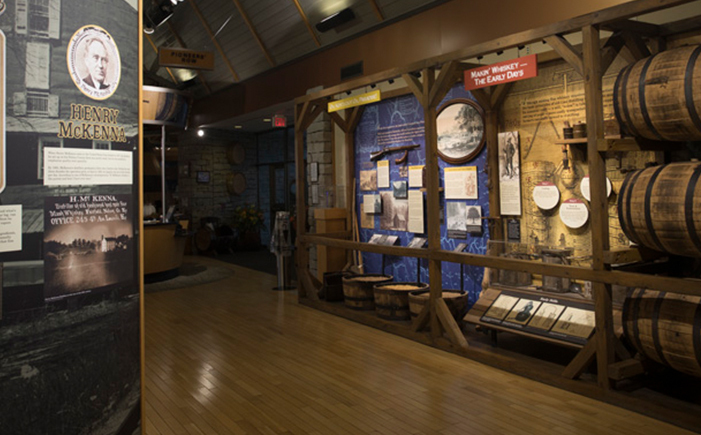 We source all of our barrels from family-owned cooperages we've worked with for generations. The newly filled barrels are then placed in open-rick warehouses to naturally age. 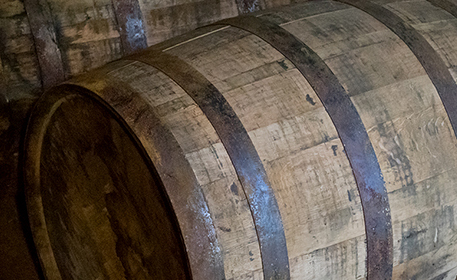 It's during the aging process, when the barrels experience the hot summers and cold winters of Kentucky, that the whiskey acquires its distinctive color, aroma and taste, imparted by the charred oak barrel. The barrels are aged anywhere from 4 to 23+ years in our Kentucky rickhouses and then expertly combined to create the signature taste profiles of each and every brand. Each batch is created under the attention of our Distillers, who ensure quality and consistency. 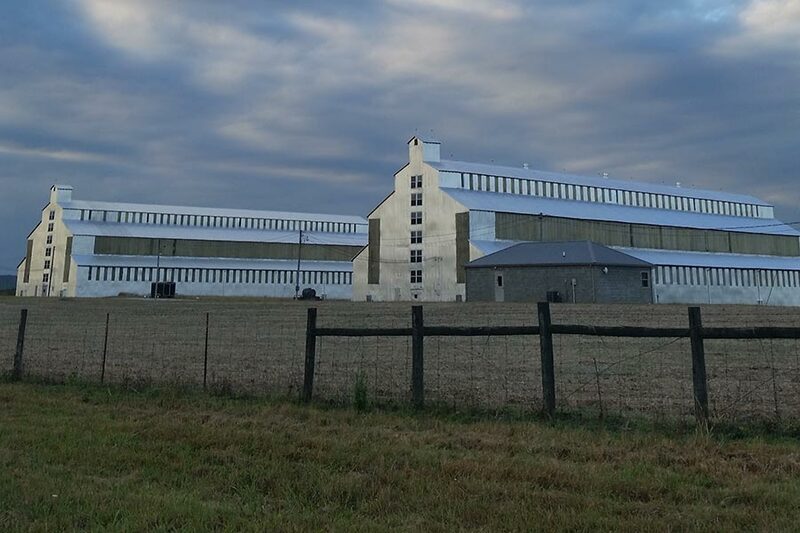 Holds: 385,000 barrels Our newest rickhouse site, Cox's Creek is being developed to allow for future expansion. It will one day include 11 rickhouses, and be able to hold 605,000 barrels. 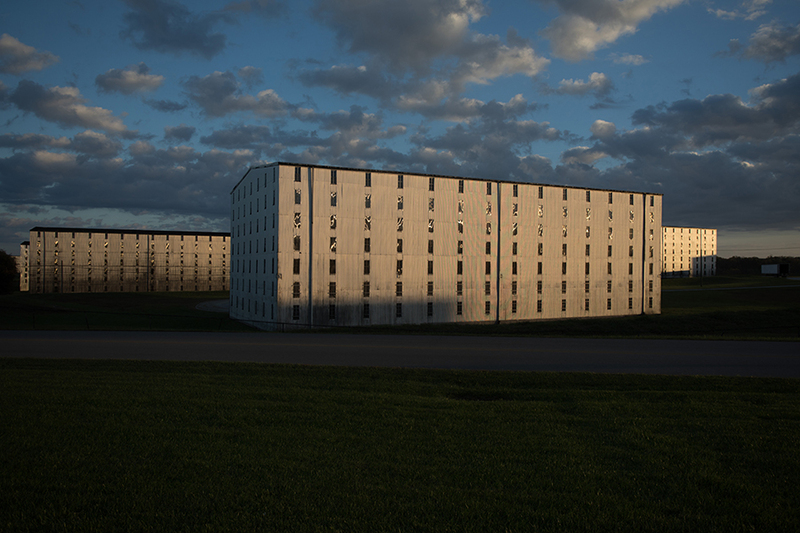 Holds: 398,000 barrels On the same campus as our historic Bernheim distillery, these 7 rickhouses are the only ones at Heaven Hill made from brick. Together they hold 398,000 barrels. Holds: 154,000 barrels Once home to the T.W.  Samuels Distillery, this site's 9 rickhouses hold 154,000 barrels, and are the only rickhouses to feature tiered roofs. 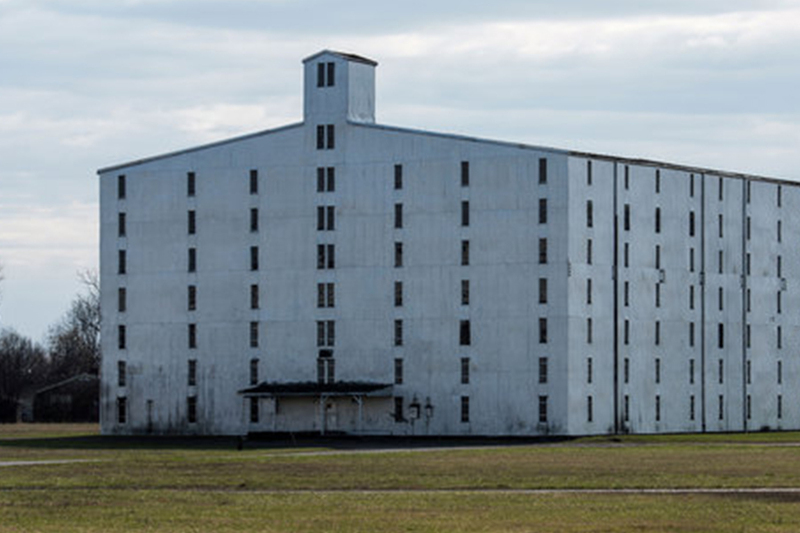 Holds: 64,000 barrels The former site of Glencoe Distillery north of Bardstown is home to 4 rickhouses, including our smallest, which holds about 5,000 barrels. 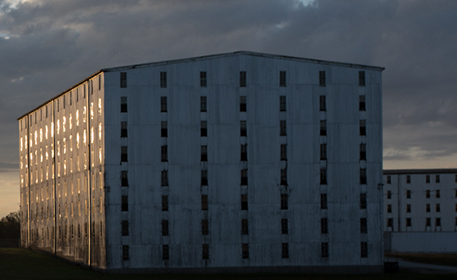 Holds: 504,000 barrels Heaven Hill's main campus holds 504,000 barrels and was also the site of the famous 1996 fire. Fueled by 75 mph winds the fire ultimately destroyed 7 warehouses, and over 90,000 barrels of Bourbon, which was 2% of the world’s Bourbon at the time. Holds: 112,000 barrels Once the site of the old Fairfield and Schenley distillery's, this site is full of Bourbon history. 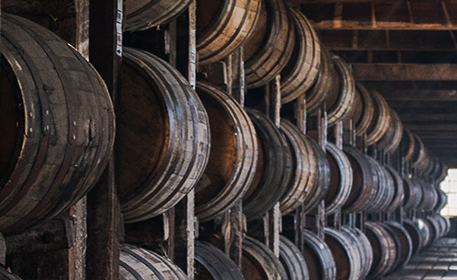 We now age our whiskeys in all of the 9 remaining rickhouses, which hold 112,000 barrels. 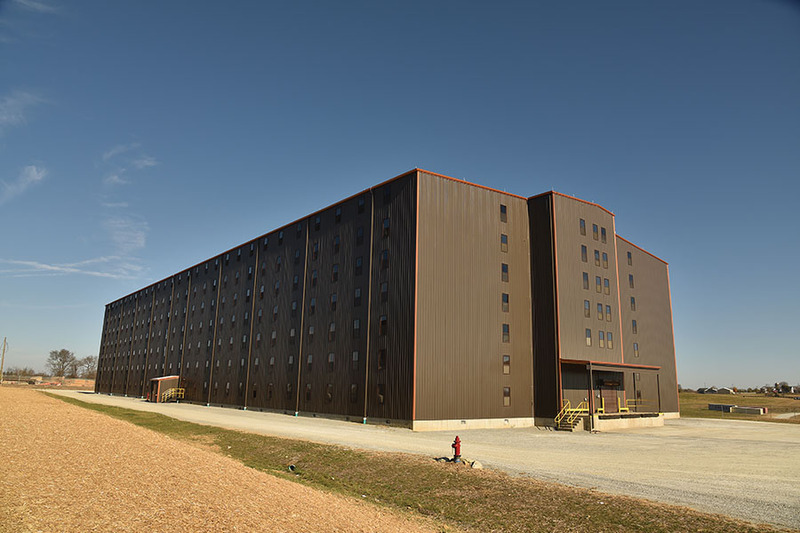 Did you know that Heaven Hill Distillery is the only heritage distiller that features every major category of American whiskey? 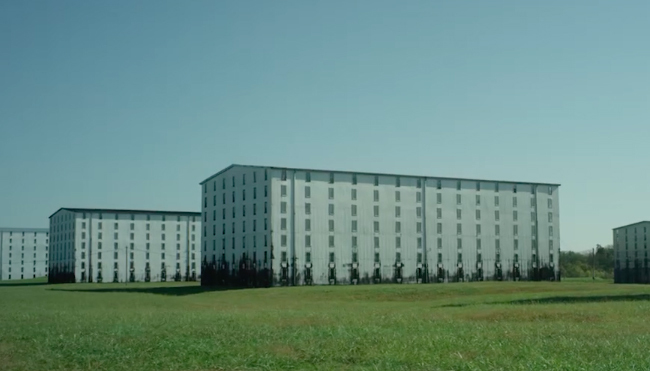 From multiple mashbills to storied brands, from Small Batch specialties to limited-edition collections, our Distillers keep the American whiskey-making tradition alive for all to enjoy. 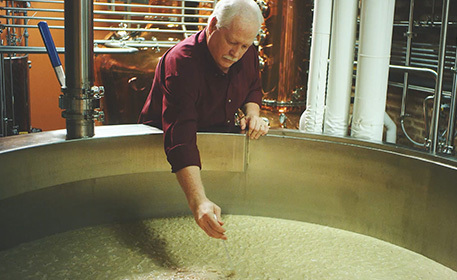 Did you know that Heaven Hill Distillery is the only heritage distiller that features every major category of American whiskey? 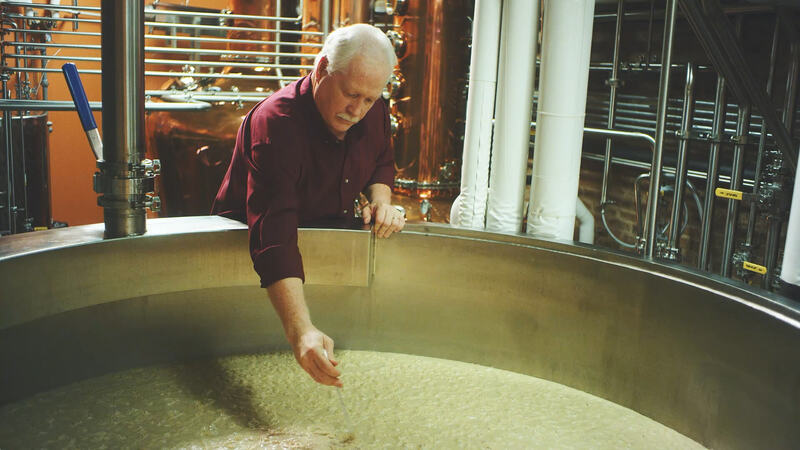 From multiple mashbills to storied brands, from Small Batch specialties to limited-edition collections, our Master Distillers keep the American whiskey-making tradition alive for all to enjoy. American whiskey, and is the only major American distiller that can claim that. 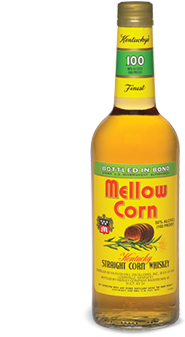 The requirements for Corn whiskey, distilled from a mash of at least 80% corn, are unlike any other straight whiskey. While Corn whiskeys do not have an age requirement, if aged it must be done in one of two ways: either in a used, charred oak barrel (such as those previously used for our other whiskeys), or a new oak barrel that has never been charred. 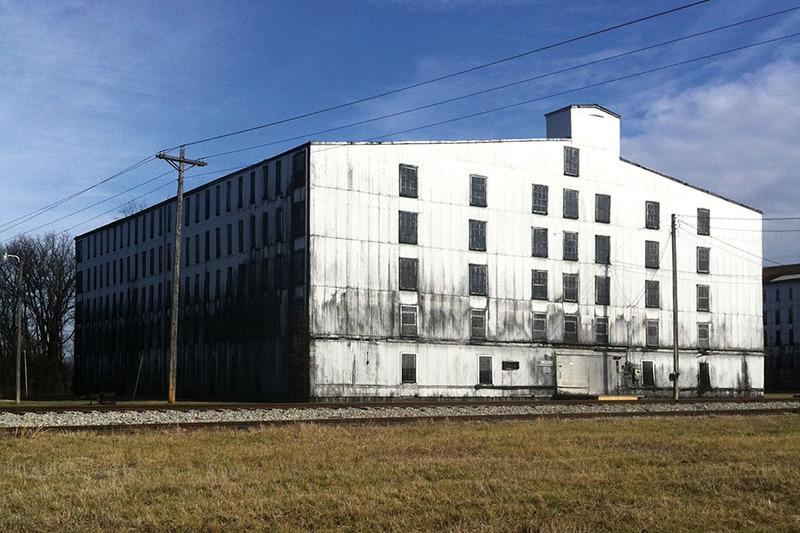 Heaven Hill Distillery is the sole remaining national producer of this unique whiskey. 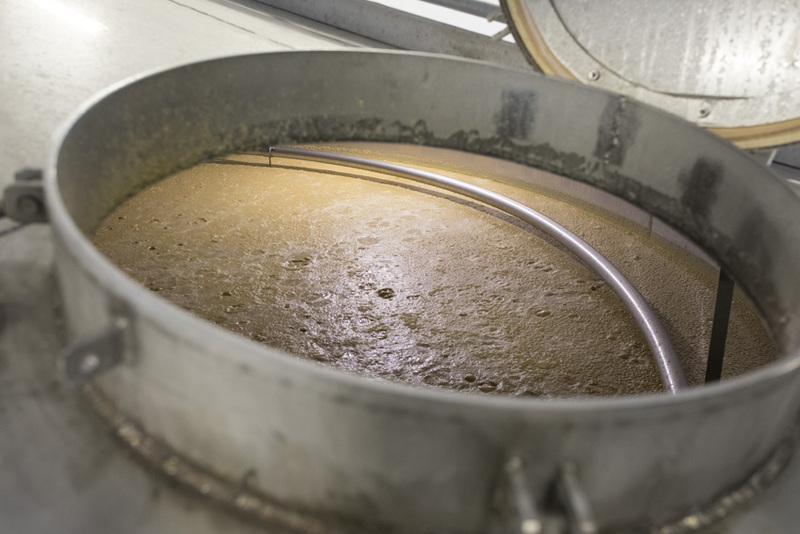 The distillation process for Rye whiskey is similar to Bourbon, but the mash must be 51% rye. The sweet, spicy taste and distinctive character of this style of whiskey earn consistently high praise from critics and connoisseurs alike. 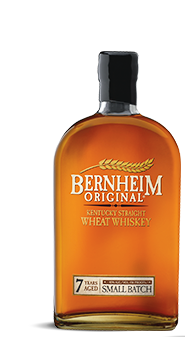 Wheat whiskey is the first new style of American whiskey since Prohibition, and was developed by Heaven Hill Distillery’s own Master Distillers. To qualify as Wheat whiskey, the product must be at least 51% wheat. 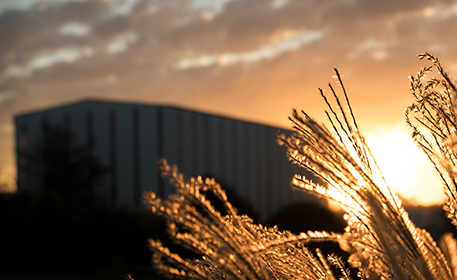 Heaven Hill Distillery uses soft winter wheat, making for a smoother tasting whiskey and an enjoyable sipping experience. Malt whiskey is a whiskey made from a fermented mash, produced mostly from a malted grain, most often barley. The ABV for a Malt whiskey cannot exceed 80% and must be stored for aging in new charred oak barrels at less than 62.5% ABV. 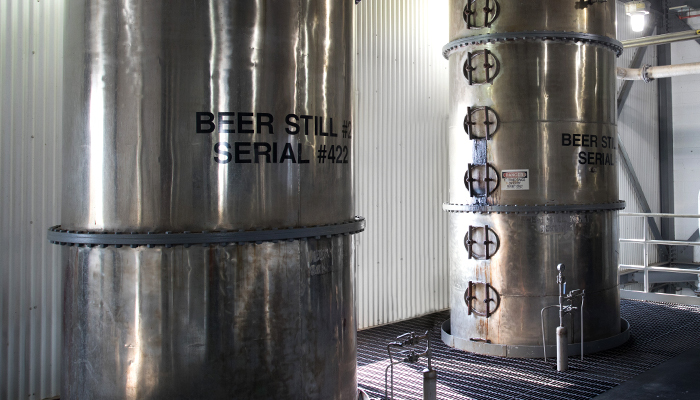 All straight Bourbon whiskey must be distilled from a mash that includes no less than 51% corn. 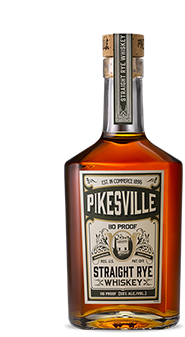 It should be distilled at no more than 160 proof, barrelled at no more than 125 proof, and bottled at no less than 80 proof. 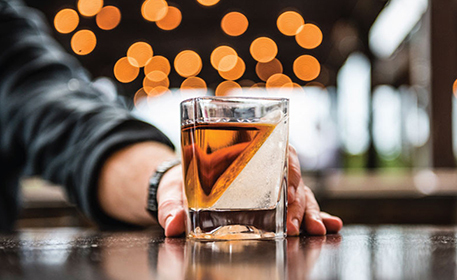 Straight Bourbon whiskey must age for at least two years in charred white oak barrels, and unlike other spirits, distillers can’t add coloring, or blending agents to straight whiskey, making the process of creating great Bourbon a true craft. 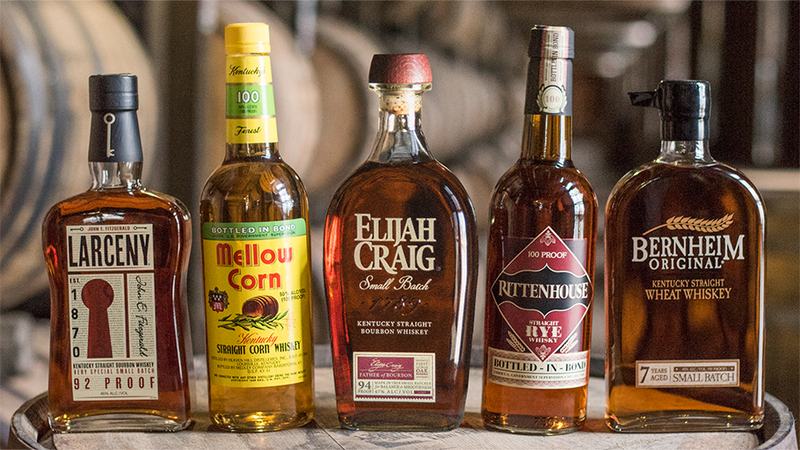 Most Bourbons are made with a minimum of 51% corn in the mashbill, plus malted barley and rye in lesser percentages. But in Wheated Bourbon whiskey, wheat is substituted for the traditional rye, creating a rounder, less spicy Bourbon. Bottled-in-Bond to Small Batch and Single Barrel. Discover your favorites. To be labeled as Bottled-in-Bond, a whiskey must be the product of one distillery and distilled during just one distillation season, which can run from January-June or July-December. These whiskeys must be aged for at least four years, and bottled at exactly 100 Proof, for a strong, signature flavor. 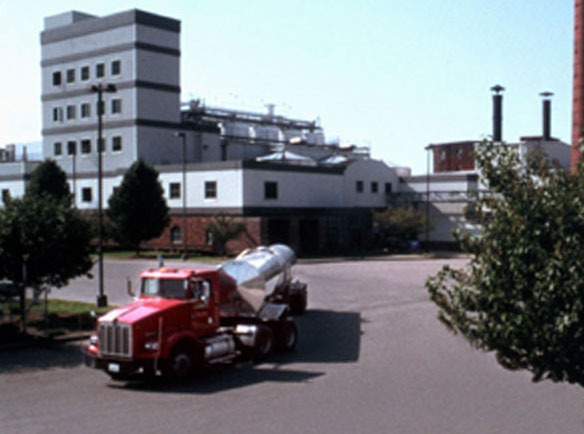 Additionally, the D.S.P., or Distilled Spirits Plant numbers of both the production and bottling facilities must be stated on the label. 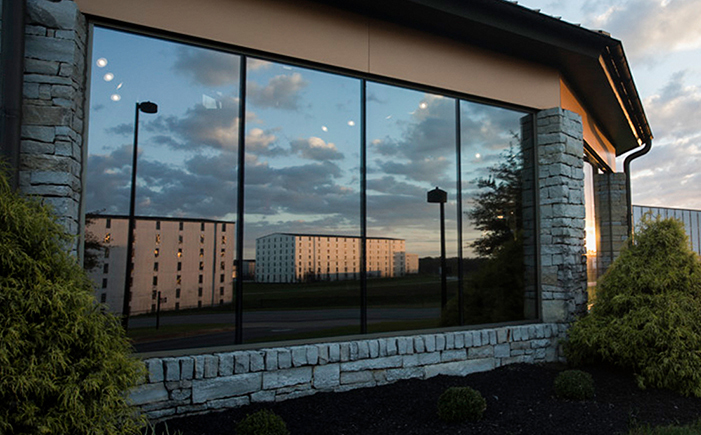 Heaven Hill Distillery has been producing Small Batch Bourbons since before the term was even invented. 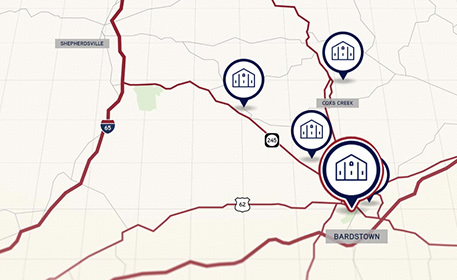 Our Master Distillers select 200 barrels or less from specific locations in the rickhouse and mingle only limited quantities that have matured to their exact specifications. Vintage Dated whiskey reflect the same year-to-year distinctions as a fine vintage wine. Only a limited number of whiskey barrels from the same year are selected by the Master Distillers. They are then bottled to preserve the unique flavors and aromas of that single moment in time. Straight from the barrel to the bottle to your glass. While barrelled at 125 the proof this whiskey can sometimes rise to over 140 proof, due to the heat and evaporation throughout the aging process. 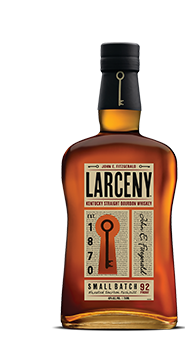 This uncut Bourbon is usually about 62.5% ABV or higher, and preserves all the rich, natural flavors of the aging process, without compromise. To be selected for Single Barrel Bourbon, barrels must surpass the expectations of our Master Distillers’ refined palates. There’s no combining of whiskeys here. Each unique barrel selected is bottled individually for an exquisite taste experience.